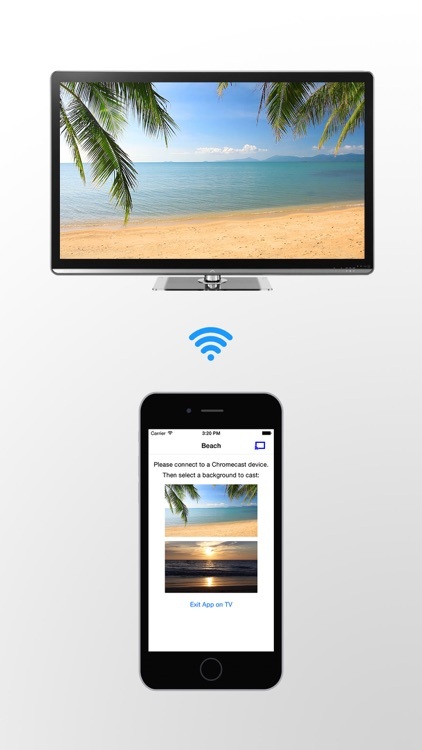 See great beach views on your TV! 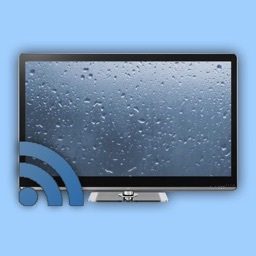 You can see a beach view as the live background for your TV (that has a connected Chromecast device). 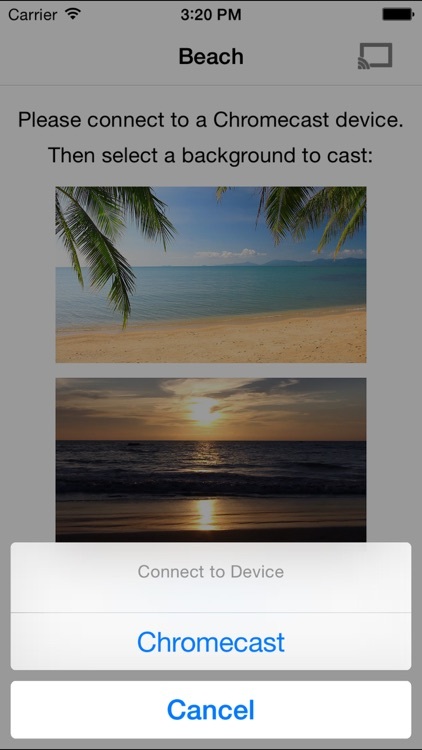 You can select the background (two beaches ave available) with your iPhone or iPad. The beach views are *not* static images, but are alive and moving, with background audio (ocean waves). 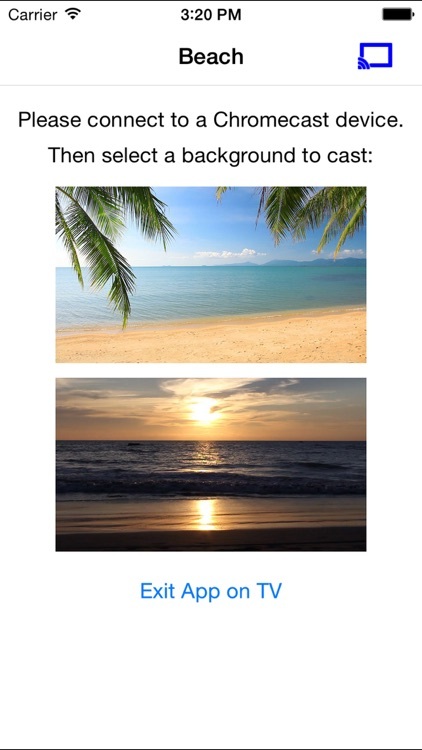 • High quality live backgrounds - you can pick from a tropical beach or a beach view at sunset. 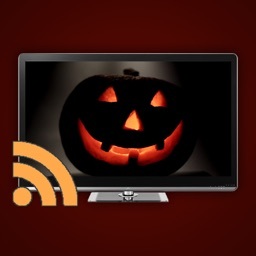 • These are not streamed from the internet and so, you can keep the live backgrounds running for hours without wasting your network bandwidth. 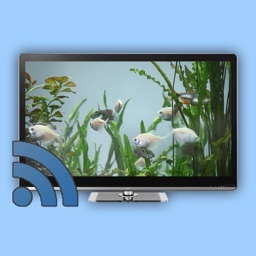 • Once loaded, there are no buffering delays while watching the live backgrounds. 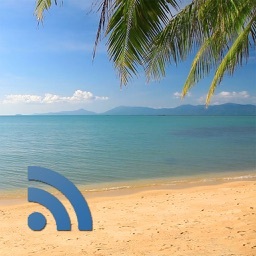 • Background audio of ocean waves. 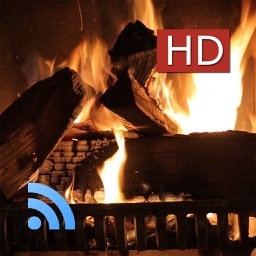 • The live background will keep showing even after you disconnect your iPhone or iPad (Tap the 'Exit app on TV' button to quit the application on your TV). 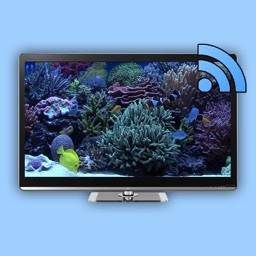 • No lags - Just fullscreen beach views on the TV! If you find any issues, please contact us before giving us a low rating - we would really appreciate it and do our best to fix them! Thanks!